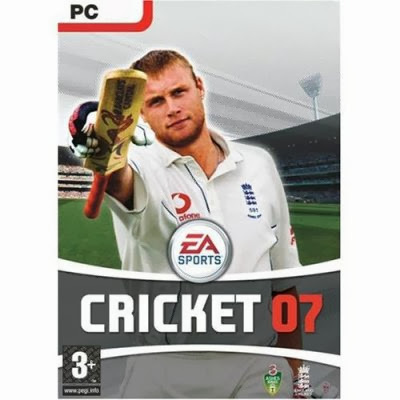 The EA Cricket 2007 developed by EA Sports was released in November 2006 in Australia and UK. The game is mainly focused keeping in view the Ashes Cricket Series which is usually played between Australia and England. We have tried to highly compress EA Cricket 2007 so that you can quickly download and play but still the game is almost 800MB in compressed form. This is a gift for the cricket lover to play cricket on their PCs easily. Lets discuss some important features of EA Cricket 2007. The game is specially designed keeping in view the current Players of the cricket and capabilities in playing cricket. The selection of teacm and players will have a key role in winning. The controlls are fully moderated so that batsman of EA Cricket 2007 can play shots all around the pitch and ground. In EA Cricket 2007 it was not only tried to give best view of the pitch but also the view of ground and spectators was made possible through additional camera view. You have the different option to play EA Cricket 2007 by "Quick Play" which is a single game with any team and quickly starts and you can also choose to "Play Tournament" in which you have to compete the different teams of the world to win the tournament depending which tournament you selected. There is a graphics bug irritate while playing the cricket 2007 game. You can play this game in Play Station 2 as well as in PC. You can easily download EA Cricket 2007 higly compressed from the link given below. Hello respected sir i want to advertise my adds on your site i will pay you handsome amount alternative of Adsense as your site has a great ranking in alexa and all over the world (top countries) please contact me urgently or as soon as possible you must reply me.